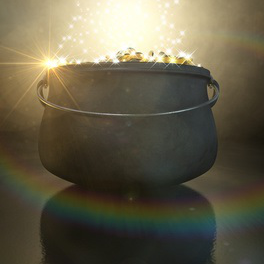 For decades UK players have been enjoyed the Irish Lotto by betting on the results, though there was never a way for players to win the full jackpot amount – until now. Why should I bet on the Irish Lotto rather than buy an official ticket? You must be in the Republic of Ireland in order to purchase an official ticket, so betting on the results has been the only true way for UK players to participate. Until recently, however, players could not bet on for the full jackpot amount or fully take advantage of the lottery's incredible prize odds. Lottoland's online lottery revolution has changed all that. Thanks to their unique business model, whereby large, multi-million pound bets are underwritten by leading insurers, players from the UK can now enjoy the full benefits of the Irish Lotto as it's meant to be, by betting small stakes, just £2 per line, for the chance to win massive multi-million pound jackpots! Who Are Lottoland and What Benefits Do They Give Me? 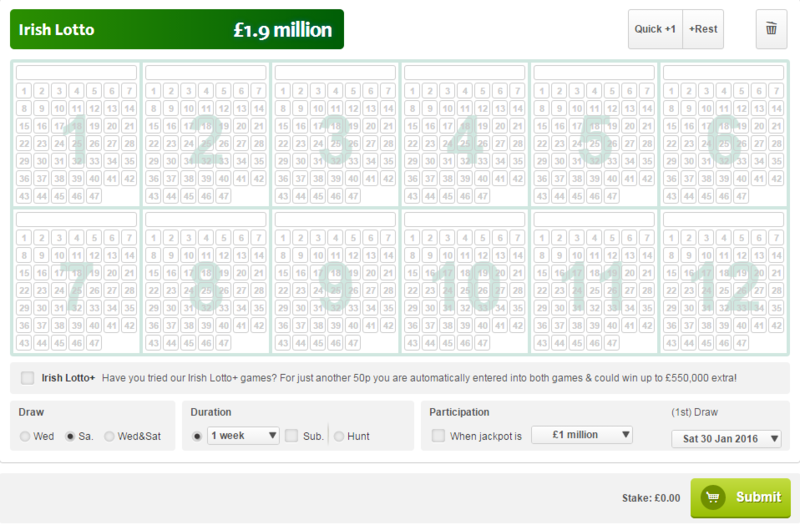 Betting on the Irish Lotto online at Lottoland is a great alternative to buying a ticket in Ireland. For one thing it's faster, easier and overall it's way more convenient. Then there's the safety factor; all transactions are swift and securely encrypted using the same technology used by the world's biggest banking institutions. There's no need to worry about loosing tickets or checking results since everything's done automatically. Any wins will be credited to your account automatically with large jackpot wins fully guaranteed and underwritten my leading global insurance firms. Lottoland is also independently audited by top financial firm KPMG and is fully licensed and regulated by the UK Gambling Commission. Essentially, betting on the lottery results is exactly the same as if you bought an official ticket in Ireland – you pick the numbers and await the outcome of the draw. Plus, you stand to win the exact same prizes! The only difference is you are betting on the outcome, instead of entering the draw. Free line offer for all first time players – your chance to win the lottery for FREE! Bet just one line (the official lottery insists on a minimum of two) or up to 12 at a time. Add both Lotto Plus games for just 50p per line. Never miss a draw again with our nifty Subscription service. Tailor your betting to suit your style and budget with our Participation options – only bet when the jackpot is above a certain amount! Make the most of our exclusive offers and discounts and bet on for regular Special Jackpots, found only at Lottoland. Bet on your PC, mobile or tablet – win huge at home or on the go! As a new Lottoland player you've nothing to loose and millions to gain – sign up to get your first line free and discover why millions of lottery lovers have made the switch to the Irish Lotto!